George Osborne's radical Budget will bring significant freedoms for people opening up the potential for new and innovative annuity products and flexi-access drawdown but there could be delays. The intended date for the changes where total pension benefits are greater than £30,000 is April 2015. From this date it will be possible to take the whole fund as a lump sum less tax at your marginal rate. To achieve full flexibility the government must navigate a series of legislative hurdles and it is possible there will be a delay to the start of the new pension rules. Today about 75% of people retiring buy an annuity from their existing or other provider using an open market option but this is likely to change from next year. Innovative new products are being developed that will combine the income security of an annuity with flexi-access drawdown allowing people access to their pension fund as cash if they need access in the future. The initial 12 week consultation period for the Budget closes on 11 June with the government issuing it's response to the consultation by 22 July. This policy paper needs to be issued when Parliament is sitting and the latest date is 22 July. After this date Parliament is closed for the summer recess which will be longer than usual due to a combination of party conferences and the Scottish independence referendum. During August and September the draft legislation needs to be published and it is likely there will be two Bills to be introduced to Parliament in October. The Pensions Bill must proceed through the House of Lords and this takes longer whereas the Finance Bill which contains the majority of the changes does not. 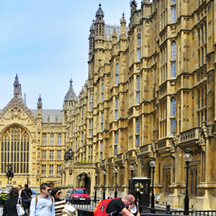 In January 2015 onwards the new legislation receives Royal Assent although there are greater restrictions to the timetable this year with the General Election taking place on 7 May 2015. This means Parliament will be dissolved on 30 March 2015 and there is always the possibility of delays to new legislation as the various parties prepare strategies for the election. With the existing framework people buying a lifetime annuity would have to give away their pension fund to an insurance company in return for an income and give away their right to access capital. The new legislation will allow people full control of their pension fund allowing them to take the fund as a cash sum less tax at their marginal rate. Although only a smaller percentage are likely to consider this route the vast majority of people would benefit by having the opportunity to access their pension fund. For example, the capital could be used to help children or grandchildren with a deposit on a property, a holiday, home improvements, purchase a new car or even to fund a medical emergency such as an operation not covered by the NHS. Providers are developing products that would allow the full fund to be in a flexi-access drawdown account or a pension annuity or any combination between. Contributions could also to be made to the fund which would benefit people that continue to work part time during their retirement phase. There would also be an option to convert the annuity back to the flexi-access drawdown account and to access the capital as cash or even make a contribution to top-up the plan. It is possible to take your tax free lump sum and avoid buying a lifetime annuity now, keep your options option until the new legislation from April 2015. By accessing a fixed term annuity for one year or more this would provide you an income and a guaranteed maturity amount at the end of the term. At the end of the term you can use the fund to buy an innovative product at that time from any provider in the market. It will also be possible to invest in flexi-access drawdown even with smaller funds of £30,000 or more. This option would allow greater flexibility than the fixed term plan as drawdown allows you to change the level of income you take or even to take single lump sums.